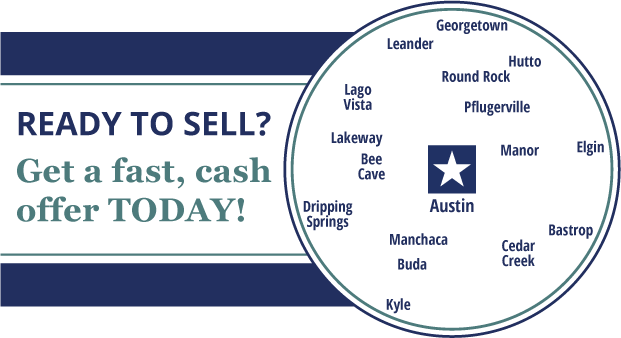 Are you looking to sell your house in the Austin area? Texas Home Offers of Austin will purchase your home in just 7 days! All you need to do is give us a call at 888-523-1005 or fill out a non-obligation form to get started today. We’ll get back to you promptly with a fair offer and give you cash for your home—fast, no fees, no agent, no commissions! Texas Home Offers of Austin is not a part of a huge national company. Instead we are a local team that is based right here in Austin, Texas. We are very proudly serving the communities of Corpus Christi, Dallas, Houston, San Antonio, Round Rock, Hippie Hollow, Pflugerville, Leander, Manor, Del Valle, Lake Travis, Hays, Dripping Springs, Lady Bird Lake, SoCo and beyond. Texas Home Offers knows the real estate market like no one else and we love helping people sell their home fast, getting them top dollar for their properties. We assist anyone who is looking to sell their home as-is. Whether you’re looking to sell an inherited property, or need to sell your own home due to a divorce or to avoid foreclosure, our real estate experts can help you get QUICK CASH for your home! We also buy undesirable houses in the Austin, Texas area. You read that right, we buy houses in any condition, no questions asked! You don’t have to spend hours cleaning, investing money in repairs, or worrying about anything, because we’ll buy it as-is. With our real estate experts, you’ll avoid hefty agent fees, staging costs, open houses, and any other hassles and frustrations associated with selling a home. Because we pay cash, we can close very fast, only 7 days! Our mission is to make your life easy and give you top dollar for your home—all you need to do is give us a call. We promise you there is nothing to lose yet so much to gain. We will do everything to ensure the process is smooth, simple, and hassle-free. If you’re looking to get top dollar for your home, without paying agent commissions, fees, or wasting time waiting around until it finally sells, Texas Home Offers of Austin is the company to work with. 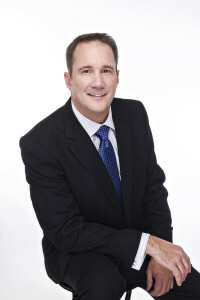 You can trust our experienced and knowledgeable real estate experts. We have many years of experience helping people just like you get top dollar for their home. We have successfully helped thousands of Austin homeowners, just like you, sell their home in just 7 days and we’re confident we can do it for you! If you have a rundown home that you need to sell, our team of Austin home buyers is here to assist you. There is no need to invest money in fixing it up and no out of pocket costs coming from you. You won’t have to spend money on hefty fees, real estate agent commissions, or any other fees associated with selling your home. If you have never sold a house before, you have inherited a house, or you’re having problems that are leading you into foreclosure, we’ll come up with a solution to satisfy your needs. With our expert help, you’ll avoid having to set up meets with real estate agents and potential buyers—you won’t have to waste your precious time negotiating back and forth, and you won’t have to spend your time or money cleaning or fixing your property. That’s right, don’t worry about fixing things on your property—we buy homes in any shape, any condition, and most importantly, we do it for cash! At Texas Home Offers of Austin, we provide an unparalleled service for our clients and take the worry and frustrations out of the normally stressful process. We simplify the process sand provide our clients a fast service. In the end, you’ll receive cash for your home, without a worry in the world—allowing you to continue on with your life while we take care of business. We are always reachable and will answer any questions you have. Why go through all the stresses of selling your home on your own when we are the experts and can give you cash in just 7 days? Our success speaks for itself and we have already purchased thousands of homes in the Austin, Texas area. We have gained a reputation for excellence, integrity, and value. As a leader in the business, you can rely on us whenever you are ready to sell. Instead of listing your home amongst thousands of others and waiting months to sell it, we take the stress off you and give you quick cash for your home. Texas Home Offers of Austin can provide you with a simple, fast, and efficient solution to your home selling needs. Don’t let your situation get ugly —we can give you an offer for your home TODAY! All you need to do is give us a call at 888-523-1005 or fill out the simple form and we’ll get back to you quickly. We’ll offer you a quick settlement that is easy and hassle-free. The best thing about our services is that nothing will come out of your pocket—all you will receive is cash in the end. Texas Home Offers of Austin has already helped thousands of clients who were looking to sell their homes and we gave them top dollar for their properties. Now we want to hear from you and do the same! dly staff at 512-872-5633 or fill out the form for a fast reply. We offer a settlement process that is easy and hassle-free. Best of all, there is no out of pocket cost to you – just real cash for your home. Texas Home Offers of Austin has helped hundreds of homeowners sell for a fair price swiftly and successfully, and we want work with you!